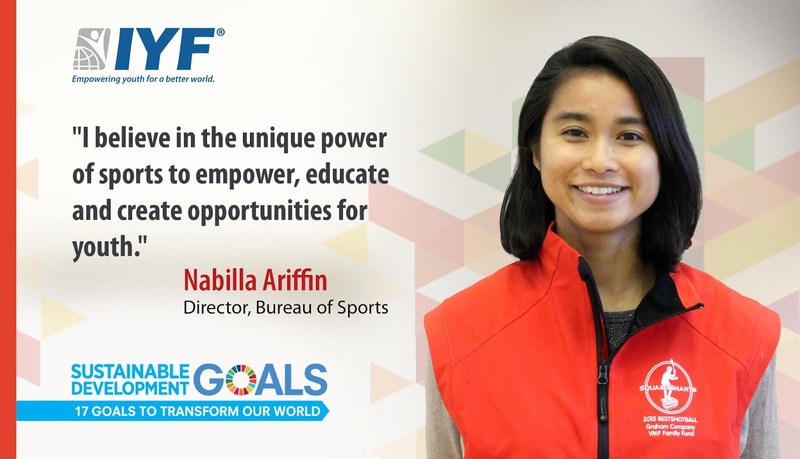 London, United Kingdom: The International Youth Federation today announced the appointment of Nabilla Ariffin of Malaysia as Director of Bureau of Sports. As a lifelong squash player, Ms. Nabilla believes in the unique power of sports to empower, educate and create opportunities for youth. Growing up in a family that values sports, she started playing squash at the young age of 10 and went on to represent her country, Malaysia, in various junior and professional squash championships. She currently competes professionally in the World Squash Doubles Tour with her highest world ranking at #13. Ms. Ariffin grew up in Penang, Malaysia. Through her education, she developed a passion for urban and economic development. Currently, Ms Ariffin combines both her passion of community development and sports into a profession as a Community Impact Director at SquashSmarts. Her work centers on empowering youth, creating access to the game of squash and advancing sports-based community impact strategies. She is also member of Cohort 2030, a global youth led initiative that demands and delivers the UN’s Sustainable Development Goals. Ms. Ariffin holds a Bachelor of Arts in Urban Studies with Concentration on Sustainable Development from University of Pennsylvania.